Summary: The objective of this blog post is to share useful MacOS Sierra data recovery information when your Mac fails to upgrade to macOS Sierra and doesn’t boot to any OS X due to the failed installation procedure. Apple always recommends backup the entire Mac hard drive through Time Machine application before upgrading to a latest OS X. Moreover, Apple keeps the OS X update process very simple so that every user can upgrade to a newer version without the assistance of an Apple expert. Despite all these measures, many Mac users come across data recovery problems either during the OS X upgrade processes or after the OS X installation. Data losses while an OS X upgrade isn’t limited to any specific Mac devices, but it can occur on an iMac, MacBook Pro, Air, Mini or Pro. A failed OS X installation wouldn’t affect a pro-active Mac user who readily backs up everything to a Time Machine drive. 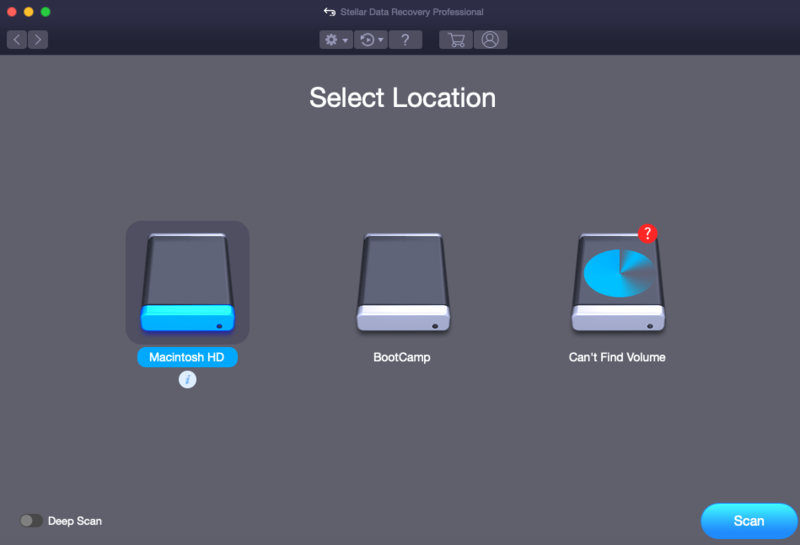 Even if the Mac fails to boot to an OS X, the user can still boot into Recovery Mode and choose the option “Restore from Time Machine Backup” which will restore the previous version of OS X with all data back to the user’s Mac. It’s that simple!! Let us consider an example. Mr Patrick didn’t take backup of his Mac system and went forward to upgrade to macOS Sierra. During the operation, the Mac rebooted and showed Mr Patrick the error “OS X Sierra couldn’t be installed on your machine”. In the absence of a Time Machine backup copy, rolling back to the previous OS X and restoring data becomes a dream. Every time, he restarts his Mac, the monitor greets him with the same error “OS X Sierra couldn’t be installed on your machine”. Step 1) Open the software interface and select the data types you require to recover. Further, click Next button. 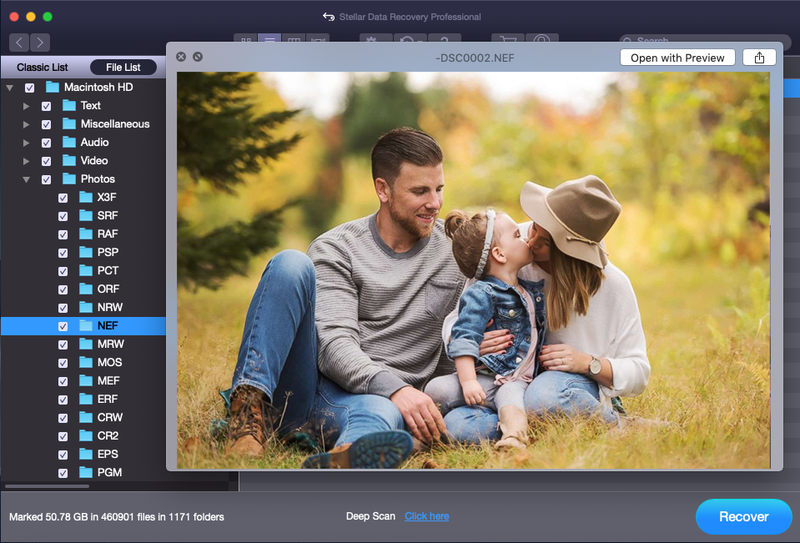 The problem of data loss and recovery after a failed macOS Sierra could get resolved by resizing the startup disk drive or with the help of the mentioned utility which will boot up the Mac for file recovery. Your friendly neighbourhood Mac data recovery and hard drive repair expert. Hi, please tell me where I can find the activation key of Stellar Phoenix Mac Data Recovery Software? I need the data recovery urgently. How I can “move” apps back without having to reinstall them completely? Only some apps, especially those apps that were not installed through the Mac App Store can simply be moved from a backup right back into the Applications folder. This may cause them to lose previously-set preferences, of course, but for apps that are used infrequently it won’t make too much of a difference. Hope, it will resolve your query. I am in a peculiar situation. My friend has a Windows laptop and Android phone. He used a 16GB OTG to manage files on his Android. Recently he had his project on the OTG, and he accidentally erased it. His laptop is also not functioning, and now he wants me to recover his data on my MacBook Air. Is it possible to recover OTG from my MBP? We are students and have no money to buy $100 tool? Could you help us immediately with a free application? We do have a free Mac data recovery software that allows 1 GB of free recovery from your Mac and supported storage devices. In my opinion, you should definitely utilise 1 GB of free quota. 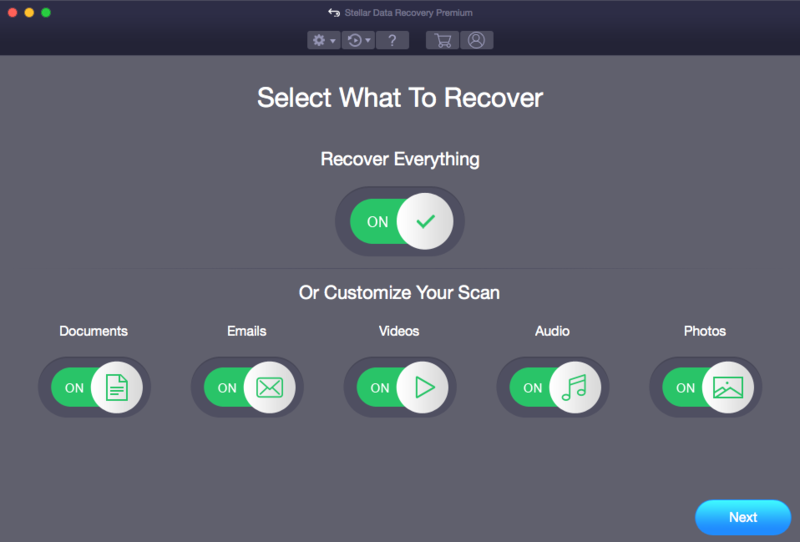 Here is the free download and registration process link – Register Free 1 GB Mac data recovery now. 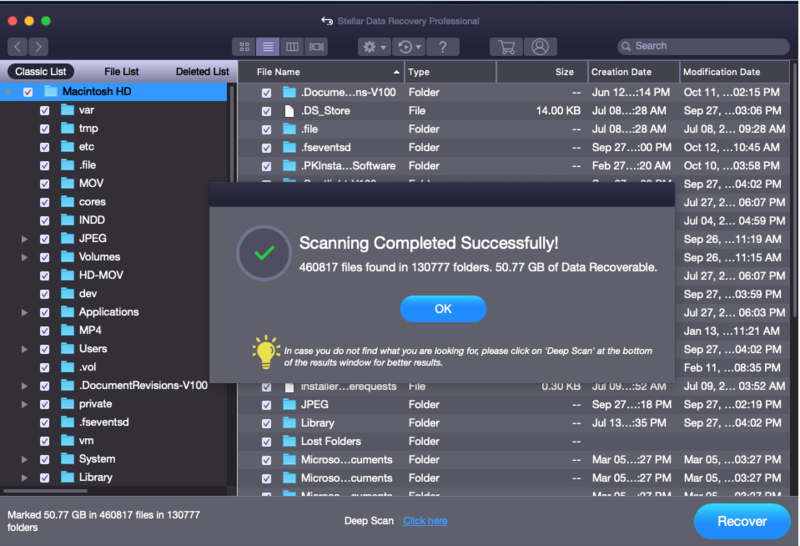 Hi Tom, does Stellar Mac data recovery software support macOS Sierra version? 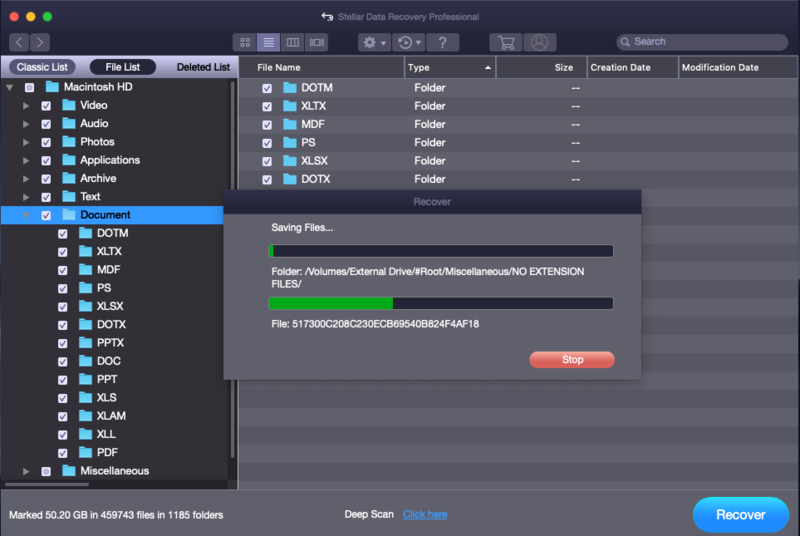 Yes, you can recover the lost data from macOS Sierra also. After updating to the latest macOS Sierra, my MBP is not booting. It gets only 50% part of the way via loading bar and crashes continuously. Now, I am unable to reinstall any previous Mac OS version, as well as can’t be able to repair disk permissions. Please, tell me whether there any hardware/software problem or some other problem and how to get rid from it? Hi, you just need to set your hard drive to ignore any kind of file permissions from ‘Get Info.’ Once this process gets completed, you need to copy your complete user account to an external Mac hard-drive and need to do a clean install of El Capitan or Sierra. How to Convert HFS hard drive to APFS on High Sierra? How to restore deleted trash items via Time Machine backup?